David has been involved in the live entertainment industry for over 24 years in many capacities. As a technician, promoter, producer, production manager, venue manager and operations manager, David has developed a vast skill set based on thousands of live performances. Since 2004, David has been at the forefront of entertainment in the Canadian gaming industry. He has opened three of the largest casino live music and special event venues in Canada including the 1500 seat Avalon Theatre and the 28,000 square foot Grand Hall at the Fallsview Casino in Niagara Falls, Ontario in 2004. In 2010, he opened the 2300 seat Molson Canadian Centre at Casino New Brunswick in Moncton, New Brunswick. The Event Centre at Grey Eagle Casino in Calgary, Alberta was David’s most recent gaming industry project, completed in 2013. All three of these projects were ground floor up where David oversaw all the commissioning phases as well as the installation of all required production and systems to the venues. In 2015 David opened the FirstOntario Performing Arts Centre in St. Catharines, Ontario. The FirstOntario Performing Arts Centre is a 95,000 square foot cultural complex comprised of four state-of-the-art performance venues: Partridge Concert Hall, Cairns Recital Hall, Robertson Theatre and Film Theatre. David is a resourceful, creative, ambitious senior professional well versed in entertainment programming and delivering memorable high profile productions. He is a charismatic, collaborative leader who sets and maintains high standards. 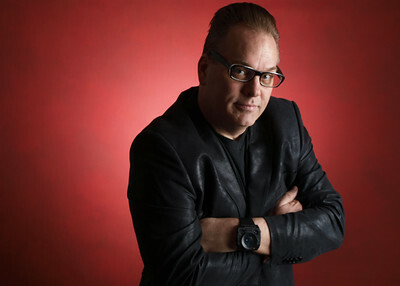 David has worked on a multitude of entertainment projects and has developed a reputation of delivering professional service with a no nonsense approach. In recognition of his work on various Canadian College Campuses for delivering unique and creative live entertainment he was presented with the National Entertainment Programmer of the Year Award. David has held the roll of producer and technical director on many festival and events including; the David Foster Charity Gala, the Live to Tell Concert with Cheryl Crow and the Canadian Olympic Hall of Fame Gala to name a few. David is a trusted and respected industry professional who maintains an extensive international database of contacts across the entertainment industry and has maintained multiple annual contracts for the past 20 years.